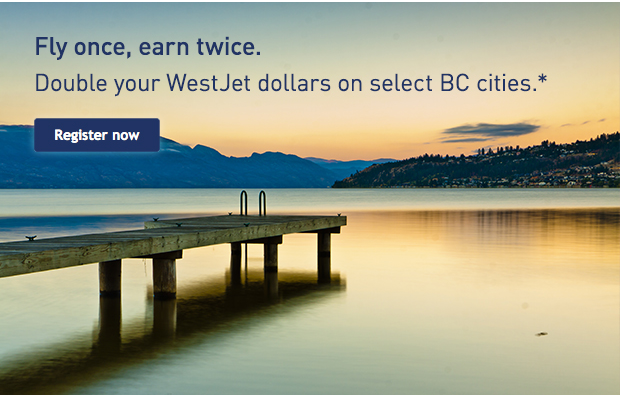 Rewards Canada: WestJet Rewards: Double WestJet dollars on routes to/from select cities in British Columbia. Even more WestJet route bonuses to let you know about! These aren't an exclusive notice like the offer from last week we brought you (which by the way has seen a great response, so thank you!) but still a great bonus for those flying to/from B.C. from Calgary or Edmonton as well several interior B.C. routes from Vancouver.